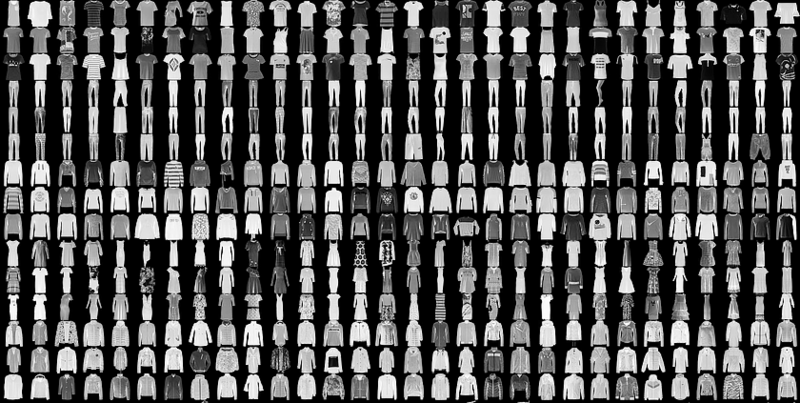 In this guide, we train an image classifier on the Fashion-MNIST data set. By default, the script is configured to train over 5 epochs. You can type a portion of the operation name with ‑o. For example, guild runs ‑o mnist would show all operations that contain mnist. This command shows information for the latest run. Directory and filenames will differ on your system. The events file under logs is a TensorBoard event log generated by the training script — specifically by the TensorBoard Keras callback used by the script. 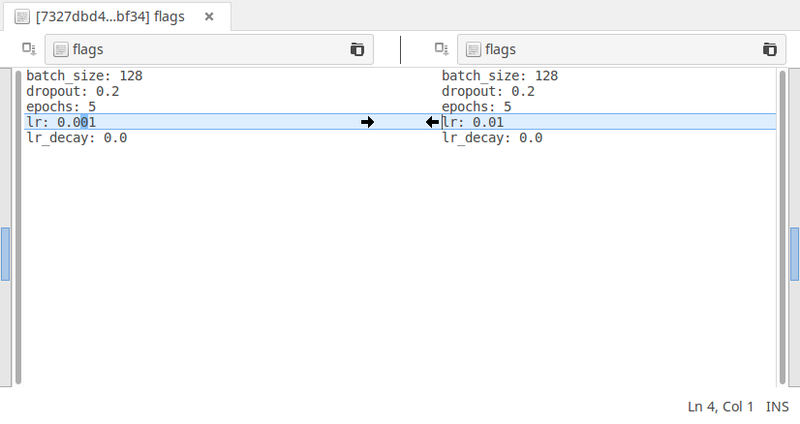 This command shows any run matching “mnist” in TensorBoard. If you run this command in a separate command console, you can leave TensorBoard running in the background while you run more operations — Guild automatically syncs TensorBoard with the current runs. See the tensorboard command for more information on running TensorBoard from Guild. When you’re done viewing results in TensorBoard, return to the command prompt and type Ctrl‑C to stop TensorBoard. This changes the learning rate to 0.01 from the default 0.001. It turns out that this value is too high — but we use the scenario to demonstrate a simple trouble shooting process in Guild. As the model trains, note the validation accuracy (represented by val_acc in the training output) — it is roughly 10%, which is random guessing! So we know our model isn’t learning. You can stop the training at any point by typing Ctrl‑C — or let it run to completion. This variation of compare uses ‑‑strict‑cols to only show the columns we’re interested in comparing — in this case, lr and val_acc. The syntax =lr means “the flag lr” and is used to distinguish the value from scalars. val_acc is the name of the scalar used for validation accuracy. For details on compare options, see the compare command. In the previous step, we tried a learning rate that was too high — our model failed to learn anything at all. Let’s assume for a moment we didn’t know why this happened. How could we troubleshoot the problem? Let’s use Guild’s diff command to compare our last two runs. Specifically, we compare changes to flags and source code. By default, Guild uses the diff command to show differences. You can specify an alternative program when running diff with the c or ‑‑cmd command line option. For example, if you have Meld available on your system, you can compare the last two runs by running guild run ‑c meld. You can configure the default program used for diffing in user configuration. We can see from this comparison exactly what changed across the two runs: the learning rate went from 0.001 to 0.01. While this is a simple example, it demonstrates the value of systematically tracking experiment details. 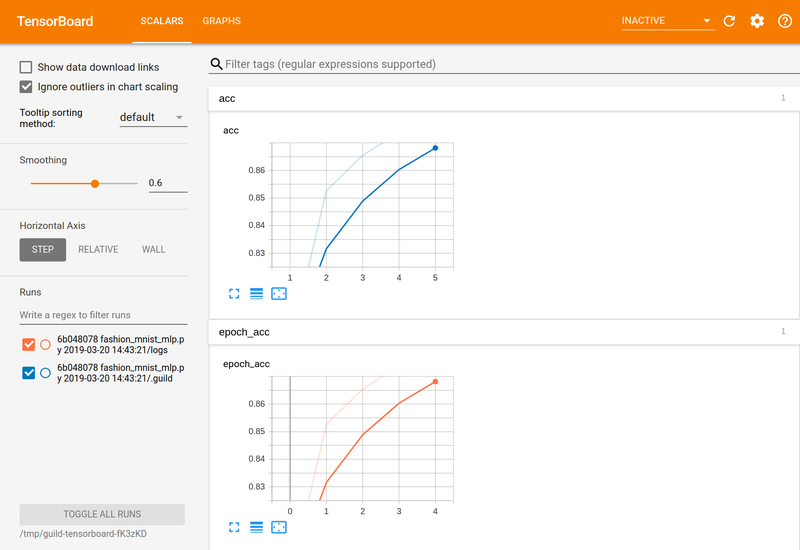 In this guide we trained a simple image classifier and used TensorBoard and diffing tools to view and compare runs.